Originally celebrated with Epiphany (Theophany) on January 6, the Feast of the Nativity of our Lord and Savior Jesus Christ was established by the early Christian church (in 354) for December 25th. According to St. Gregory of Nazianzus, “the Feast of the Nativity is the re-creation of the world” and the restoration of the human nature fallen in sin. The Iconographic representation of the Nativity has its scriptural basis in the testimonies of the Holy Gospels of Matthew and Luke: see Mathew 1, 18-25; 2, 1-12 and Luke 2, 4-20. 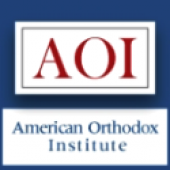 The ray descending from the single radius-circle at the top of the icon signifies The One and Unique Nature of God, the light and coming from the star is divided into three elements to describe the participation of the Three DIVINE PERSONS in the fellowship/ iconomy of our salvation. The iconographic representation of the star suggests that this is beyond just a cosmic phenomenon, the star is being sent by God to preach to the Magi the supernatural birth of the Heavenly King and also to guide them to the place where the miracle took place. I. 2. The Mountain: an austere mountain suggests an inhospitable world, hostile, a world after the fall of our first parents Adam and Eve and their descendants. 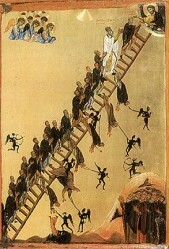 The sharp rocks, also illustrated as steps seem to be united with the sky, indicating the descent of God to man but also the ascent of man to God, both becoming possible with the Incarnation of the Second Person of the Holy Trinity. And the whole earth rejoices. I. 3. The Angels are represented in their dual work: doxology and proclamation (of the good news). Some angels (the group from the left) are moving towards the Source of Light, unceasingly praising God. The angel from the right side leans towards the shepherds, proclaiming them the Nativity of the King of Israel. 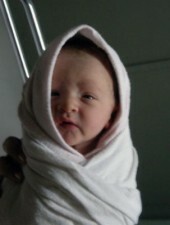 The angelic presence testifies the deity of the Child. II. 1. 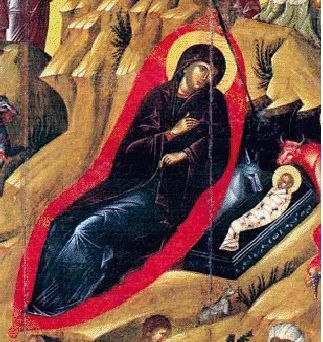 The Christ child is either asleep or awake, looking towards His Mother. His changing nappies are shaped like narrow strips similar to the burial shrouds, his arms are crossed over his chest in the sign of the Cross, and the crib where the child is seated resembles a shrine – the later tomb. All these representations foreshadow Christ’s death and descent into hell. But “The Light shines into the darkness and the darkness comprehended it not.” (John 1, 5) For Christ will rise from the dead as God Almighty. II. 2. The Virgin is pictured sitting next to the child in the manger, half resting on a bed of the kind carried by the Hebrew in their travels. Its color is red, signifying a royal bed and the honor the Mother of God deserves. The three stars from the head and the shoulders of Mary, symbolize her perpetual virginity before, during and after the birth of Christ (the Ever-Virgin Mary). Our most pure Lady was the highest gift that mankind was ever able to bring to Him, the Creator. The place of birth of the Son of God was not an inn, but a place with stalls where animals are kept. 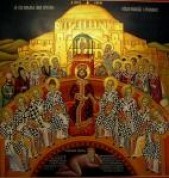 The Gospels do not mention the cave, but the iconographic representation finds its grounds in the Tradition of the church and in its liturgical texts. The opening of the dark cave in the middle of sharp rocks symbolizes the fallen cosmos, the world overwhelmed by sin through the fall of man, the depths of darkness (the inferno/hell), which only Him, the Sun of Righteousness, scattered by His birth. The cave and the manger are an evidence of the profound humility of our Lord Jesus Christ. 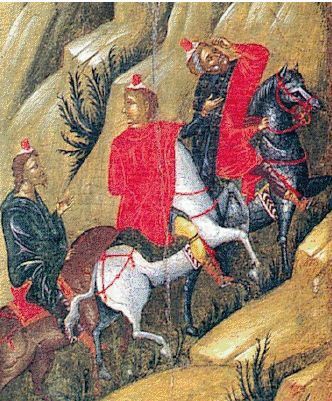 The animals presence, appears as a symbolism of the sacrificial bull and of the donkey the the King will ride when entering Jerusalem (see Psalm Sunday). 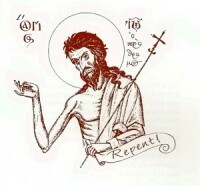 In some Russian icons, a horse is depicted instead of a donkey. II. 5. The Shepherds are portrayed listening to the message of the angels. Often, one of them adds his (human) art of singing in the choir of angels. In the middle of everyday activities, they are the first to receive the wondrous news of the birth of Christ, being paradoxically, through their simplicity, closer to the heavenly world. The shepherds represent the first sons of Israel (God’s chosen people), who worship the Child; they symbolize the beginning of the Church among the Jews, while the magi represent the Church of the Gentiles. 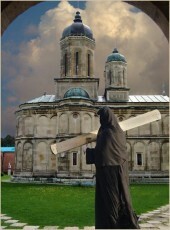 ◦ Myrrh – to the One who died on the cross. The Magi are portrayed as three men of different ages, proving that this revelation is given to man regardless of their physical age, but according to their spiritual level and their comprehension of the mysteries of God. The Magi represent the pagan nations that are outside the chosen people. Although they are learned men, however, they have to come a long way towards knowing the true God. Their presence reveals that the Church receives and sanctifies human knowledge when it leads to the truth of the faith towards the knowledge of God. III. 1. 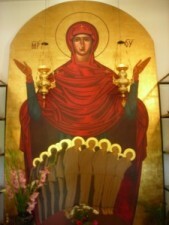 The Righteous Joseph is depicted in the corner (either left or right, to the bottom part of the icon) sitting away from the Blessed Virgin Mary; this iconographic detail is designed to highlight the truth that the Scriptures and the Church teach that Christ was born of the Virgin Mary, and Joseph was not the father of the Heavenly Child. 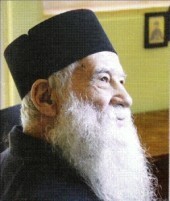 His appearance should suggest a man advanced in years (the Holy Tradition holds that he was 84 years old). He is surrounded by a halo to represent his place among the righteous of God (cf. Matthew 1, 19). Joseph has a meditative expression, somewhat worried, a state of turmoil caused by the virginal birth of Jesus. 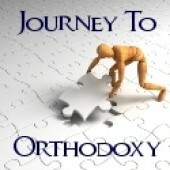 Joseph illustrates every man weak in faith, whose mind can not exceed the boundaries of this reality, and the difficulty in accepting the supernatural reality of God’s mysteries. 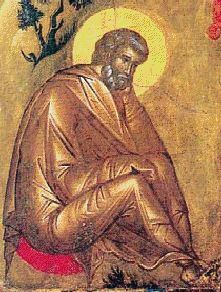 In the person of Joseph, the icon reveals not only his personal drama, but the drama of all mankind, comprehending the mystery not through the eyes of faith, but by the limited mind/rationality. He appeared to be listening to a figure representing the voice of the darkened mind. III. 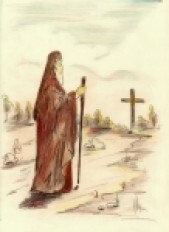 2. the Strange old man, clad in a letter jacket, leaning before Joseph, represents the deceiver: Satan disguised as a shepherd, and harassing Joseph, the Virgin fiancé, with treacherous questions. The scene is inspired by the apocryphal Gospel of James which says that the wicked speaks through the Shepherd Thyrros: “As the rod [that is bent or broken= the symbol of his former powers] will not be able to give offspring, so an old man like you just can not conceive a baby and a virgin cannot bare a child “ [but the rod blossomed soon]. III. 4. The Infant bathing scene is based on passages from the apocryphal gospels of Jacob and Matthew (which speak about the presence of two women: Salome and Zelemi, called by Joseph to attend the Virgin birth). – Our Lady had a supernatural birth (with no pain), and the presence of midwives is unnecessary. 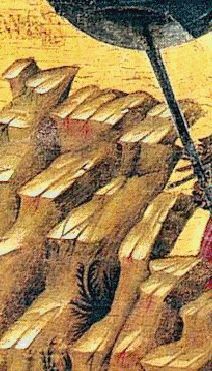 – even after iconoclasm, when the iconographic representations became a mean to express the dogma, no objections existed to the representation of this scene. 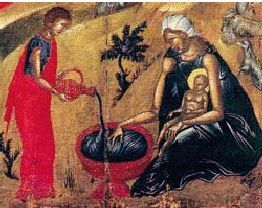 The bathing scene suggests that the Most High God is subject to human habits and customs, this been also a true testimony to the Incarnation of the Lord, Who has become willingly “just as one of his people” (Matins of the Nativity feast, Canon of St. John of Damascus, the fourth song). The scene foreshadows that of His baptism in the Jordan River. – A lots of compositional elements and insignificant details: horses, camels, dogs, lots of people etc are introduced, which detract from the real center of interest: Christ the Child. – The scene takes on a fantasy look through the sweet atmosphere of a fairy Bethlehem bathed by the light of a sky full of stars…, insisting more on the human aspect rather than on the mystery of the Incarnation (the man-God rather than God-Man). 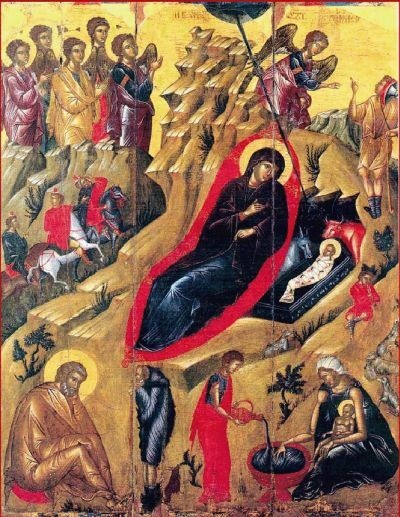 In the West, the representation of the Nativity, has no edifying symbols for the soul (so consistently depicted in the Orthodox iconography), and it mostly calling upon the natural human feelings, thus remaining at the level of a superficial understanding and far from the true meaning of the Incarnation of the Son of God and His work for the salvation of the world. It should be noted that the process of de-sanctification of the Catholic theology after the Great Schism of 1054 had gradually led to the distortion in representating God and the Saints. The revival of paganism, which began in the fourteenth century, had lead to the replacing of icons by so called religious paintings where the aura of holiness disappears under the camouflage of the sensuous realism of the fallen human nature. In the Western Europe, the devaluation of the sacred images was synchronous with the deformation concept about God, man and the world, the contemporary Western society been long poisoned by atheism and materialism. The removal of icons and of the sacraments had depleted the Catholic and the (neo) Protestant world, of a proper understanding of the words of Christ, sinking further into interpretations subjective to human passions, slanders and evil blasphemies. 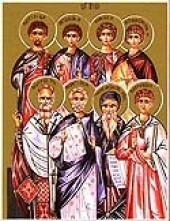 The Orthodox iconography, through the development and maintenance of certain canons (rules) in representing/revealing the holy images in accordance with the early church tradition, it maintains the true theological knowledge of the spiritual life and it avoids the promotion of artistic means of expression that emphasize emotions or other subjective and shallow interpretations. – the effect of this event on all creation that had acquired a new meaning – the transfiguration through the Holy Spirit, as the final aim of her existence. All Orthodox traditions mark the joy of Christ’s coming among us and within us by carols, hymns… and good merriment brought by God’s blessing. These are the real beauties that adorn our soul at Christmas! Amen. Michel Quenot, From the icon to the nuptial banquet. The unspeakable moral degradation of our society, and What wound a man give in exchange for his soul?